Dr. Dayyani Eye Care (Marina Del Rey) - Book Appointment Online! 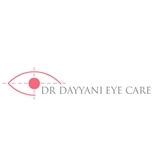 At Dr. Dayyani Eye Care, we have combined a sophisticated and exclusive eye wear boutique with the convenience of an optometrist and laboratory on location so you always get the personalized service that you deserve. Our office prides itself of an incredible staff and talented optometrists who provide a full range of high quality optometric care. The doctors at our practice use state of art equipments to see and treat their patients for a variety of reasons, including their routine eye examinations, glaucoma , allergic eye problems, cornea problems (including dry eye), contact lenses, and management of ocular pathology. Our doctors and staff conduct their appointments with the personalized care and attention that one would expect for their own family. We would be delighted to have you as a part of our family!